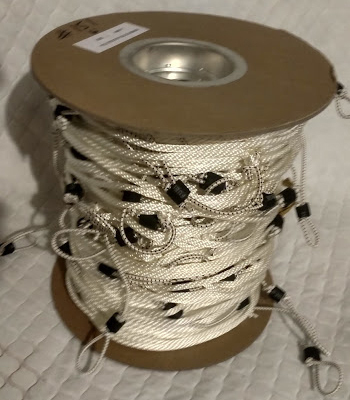 Made with #6 (3/16" diameter) solid braided sinking line. 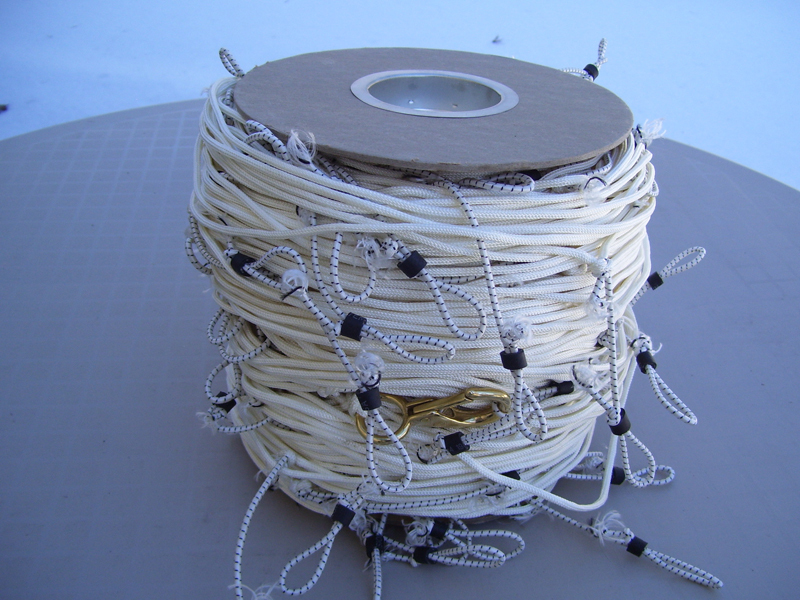 Snoods are made from 3/16" shock cord and are approx. 6" long spaced every 4 feet. 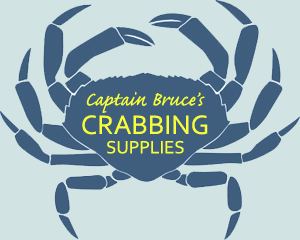 This is the line of choice for the beginner or occasional recreational crabber. Made from polyester and will not rot and will last for years. More user-friendly than the #6 size. The favorite of recreational crabbers because it stays soft, it's easy on the hands when you pull it in, it coils neatly in a basket, and, if it gets a knot, all you have to do is shake it out. The longest recreational snood allowed by Maryland Law! The "Cadillac" of all lines and you get what you pay for. It's been reported with proper care that this line will last 20 years and if you get a loop in your line when you're letting it out, just shake it out and very rarely gets knotted up. 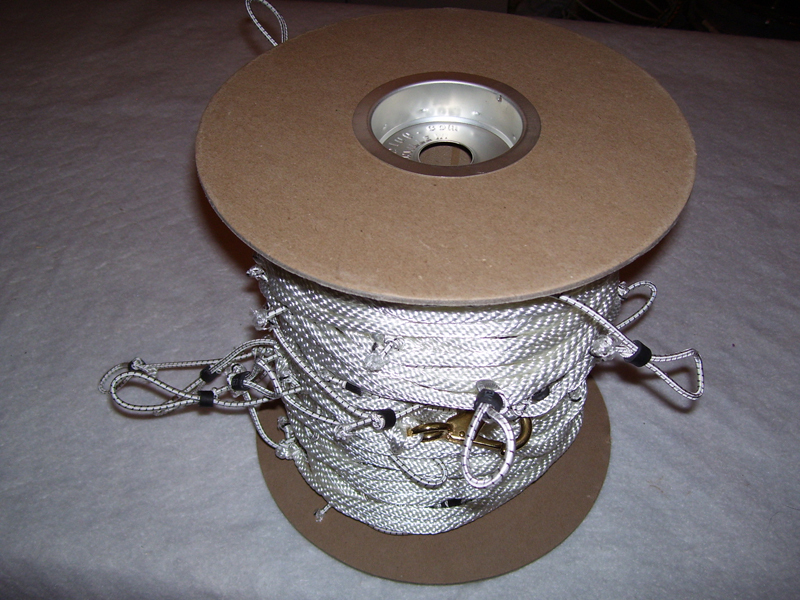 This is also the line preferred by commercial crabbers who use "line winders" because it has great wear resistance.